Qantas has created a sub-brand to sell accommodation via social media in an attempt to capitalise on travellers who book after seeing friends post about their trips online. 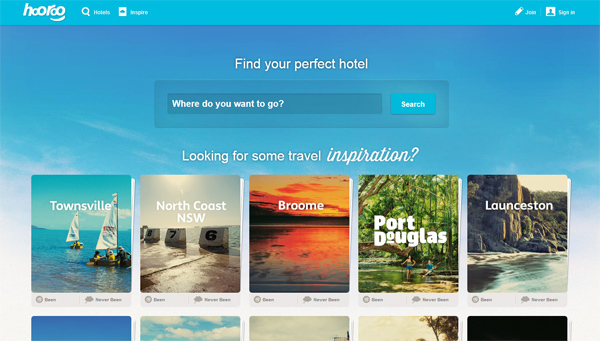 ‘Hooroo’ is the first travel site to integrate social discovery and sharing with the ability to book accommodation directly at destinations Australia‐wide, the airline claims. In addition to its initial focus of social seeding, Hooroo will launch with a digital campaign created by Badjar Ogilvy Melbourne. For the campaign a group of consumers were charged with the task of developing 24‐hour itineraries for destinations around Australia, which will be shared through hooroo.com, as well as their own blogs, Twitter accounts, Facebook pages and other social outlets. The initiative gives Qantas a road into the high margin, high growth online accommodation market and leverages off the back of Tourism Australia’s launch of ‘There’s nothing like Australia’ domestically. Research from Tourism Australia shows that social media is rapidly impacting the way Australians travel domestically, with 20% having booked a domestic holiday as a result of viewing their friends’ social media updates. Tourism Australia chief Andrew McEvoy threw his support behind the site. “We know that compelling destination content and competitive deals can play a big part in stimulating people’s desire to explore and travel, and the creation of the new Hooroo social travel site seems to embrace this insight, which we’re hoping will inspire more Australians to reconsider their own backyard and take the next step by booking a domestic holiday or getaway,” he said.